Perhaps the only positive thing that can be said about the Vietnam War was that the outrage and chaos around it created some great music. Mick Jagger was inspired to write "Street Fighting Man" in 1968 after witnessing a huge and intense anti-war protest in Grosvenor Square in London, where 86 were injured and 200 arrested. 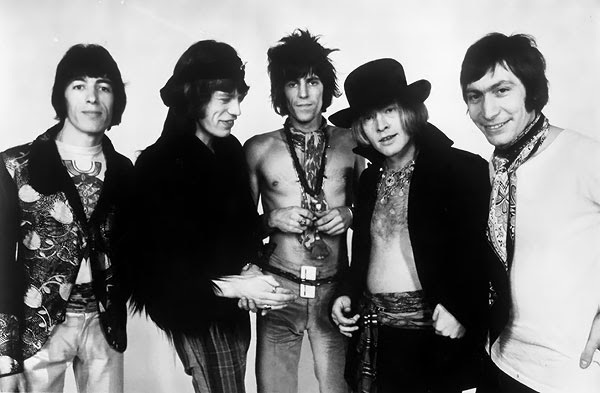 "Street Fighting Man' is for good reason considered one of the Rolling Stones greatest achievements, a stunning and powerful piece of music that was the centerpiece of the great Beggars Banquet LP. Among its many strengths is its ambiguity, completing avoiding the trap of most political songs that leave nothing to the imagination. It seems to start as a call to action, the darker more violent cousin to Martha and the Vandellas "Dancing in the Streets": "Everywhere I hear the sound of marching, charging feet, boy / Cause summer's here and the time is right for fighting in the streets, boy". But just a few lines later, resignation sets in, or is withdrawal, or pacificism, or cowardice? : "Well now what can a poor boy do, Except to sing for a rock & roll band? / Cause in sleepy London Town there's just no place for a street fighting man, no." The music is just as striking, the song just leaping out of the speakers, raw and powerful, despite the complete absence of any electric instruments except the bass. Keith Richards created the distorted guitar sound by recording layers of acoustic guitars through a mono cassette recorder. Meanwhile Charlie Watts is playing deliberately off-kilter rhythms on a very small, antique drum kit that came up in a suitcase, set up on top of the cassette recorder and miked up to sound extra loud. Add Brian Jones' sitar, Nicky Hopkin's piano (sounds especially cool in the outro) and Dave Mason playing Shehnai, an Indian double reed oboe, and you have one jarringly unique sound on par with the urgency taking place in the streets of most major cities in the Western world in 1968. Peter Rowan is a roots music giant - as lead singer of Old And In The Way, his warm, straight country vocal approach was perhaps the single best thing about a group that also included Jerry Garcia on banjo, Vassar Clemens on fiddle and the transcendent David Grisman on mandolin. All that said, Rowan's singing was what always distinguished their versions of "Wild Horses" and the like. And Rowan originals like "Midnight Moonlight" and "Panama Red" were so right, they just seemed like songs cowboys must have brought home from the range. He always seemed wise, mature and mellow. And of course, so he is. On his latest album, Dharma Blues, Rowan is dusting off all his musical and creative tools and putting them to work in service of an album that is really, like the best of Rowan's work, unforgettable. From the opening track, so much about this album just feels right. That a capella opening - just right. The transition into a full, rocking country band with a gracious pedal steel played by Dave Easley - just right. And Gillian Welch's vocals on several tracks here - absolutely just right. Throughout the album, Rowan deftly combines Eastern themes (both musical and spiritual) with his time-honored bluegrass and country chops and a California country-rock sound you'd expect from a teaming of Rowan and Jack Casady, whose work with Jefferson Airplane and Hot Tuna bring almost as much gravitas to this project as Rowan's history. 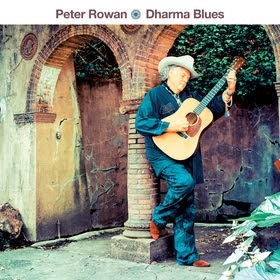 Recorded in Los Angeles and New Orleans as well as Rowan's home base of Sausalito, Dharma Blues features twelve new Rowan songs. In addition to Casady, Welch and Easley's contributions, Jody Stetcher (David Bromberg, Jerry Jeff Walker) played banjo and tamboura. The tamboura is a key ingredient of the title track, and several others here. The best thing about the record is that, far from being weighted with expectations and history, it soars with a pleasure and joy that's hard to describe, but easy to feel on the very first listen. In Rowan's words: “The doubts and resolutions of the spiritual journey are what drive Dharma Blues. May this music bring joy to all.” It is out now (released in June) on Omnivore Recordings. 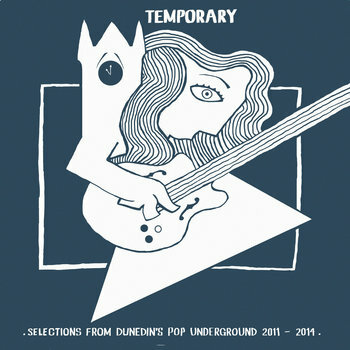 Supporting emerging music is what we do here, so we are very happy to see a project like Temporary. The simple concept is to showcase young talent from the fertile music scene of Dunedin, New Zealand. Dunedin, the second largest city on New Zealand's south island, has a population of about 126,000 and a rich rock music tradition. The foundations of that reputation were laid by bands such at The Clean, The Bats, The Chills, The Verlaines, and Toy Love. However, the focus here is on current bands, emerging talent that deserve to have their voices heard. The collection is curated by Ian Henderson, a kindred spirit who in addition to being the Global CEO of Dunedin's Fishrider Records, devotes his time, money, production skills, engineering skills, drumming, driving, vehicle and even his basement to aid the dreams of aspiring musicians. The music here is a diverse offering of musical styles from jangle pop to darkwave, and previously has appeared on various releases from several different labels. The common denominator is that it is good, and fresh. Fishrider's Bandcamp page currently makes two tracks available to stream, "All Over the World" by The Prophet Hens and "Winded" by Kane Strang. However, I want to reveal the overall strength of the album, so I also included the songs from Mavis Gary and Death and the Maiden (I hope Ian forgives me for grabbing an embed from prior releases of the songs). I'm a big fan of this release. Most of the bands are familiar to me and have featured on these pages over the past couple of years. Some were welcome new discoveries. However, new to you or not, this collection represents your only chance to get a representative song from all of these bands. The release is available in vinyl or CD or formats, and come with a collectible DIY zine including photos, art and other items created by the bands. In an inspired move, Fishrider has avoided high import prices for the American market by partnering with New York label Ba Da Bing Records. Temporary is available for pre-order now from Fishrider's Bandcamp page or Ba Da Bing, links for both are provided below. It eventually will be available in Europe from British label Occultation. Here is a refreshing guitar pop song with a bouncy groove and a good helping of soul stylings. The song is "Istanbul" and the band is Jakil. "Istanbul" will be released on September 28 via Sticky Lips Music. Jakil are from Edinburgh, although they now reside in London. Its members are Kieran Grant (bass), Kieran O'Brien (lead vocals), Callum Paterson (drums), Jamie Robertson (guitar/backing vocals), and Liam Narrie (guitar/backing vocals). As I have shared here before, I am not a jazz critic. However, I sure do appreciate good jazz, and when the opportunity arises, I'm happy to share new recordings with WYMA's readers. 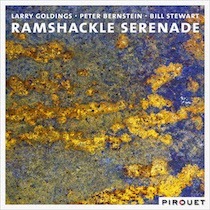 It's been my experience that piano trios or quartets tend to make my favorite records (excepting Coltrane, of course), but occasionally we come across a group led by a Hammond B3 player like Larry Goldings, and you are going to want to check out this trio: Golding on organ, Peter Bernstein on guitar and Bill Stewart on drums. They've recorded together for years and together have produced some world-class music. Their latest is Ramshackle Serenade. This is not just a good,solid jazz album by some very good veteran players -- there is greatness here. 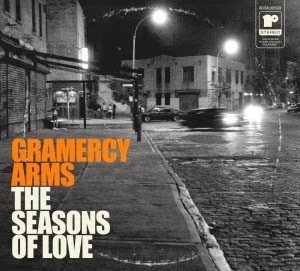 From the inspired covers like Jobim's "Luiza" and Horace Silver's "Peace", plus the standard "Sweet and Lovely", to the sweet originals: album opener "Roach", a Goldings composition which gives Stewart ample opportunities to show off his chops, and Bernstein's "Simple as That", which is pretty straight ahead. Actually, it's mostly originals and they stand up very well. The album's out now (released in late June) on Pirouet Records. Black Lizard's Burning EP is the perfect use of the EP format. In four tracks the Helsinki-based quartet build on the foundations set in their self-titled debut LP and explore the fringes of their territory. Where the 2013 album displayed a masterful vocabulary of thick, crunchy and noisy psychedelia reminiscent of The Jesus and Mary Chain, Spaceman 3, Brian Jonestown Massacre and Black Rebel Motorcycle Club, the Burning EP takes us into the quieter, more sparsely adorned territory that infused BRMC's Howl Sessions or, in my view one of the most interesting albums in my collection, TJ&MC's The Power of Negative Thinking (a collections of B-sides, demos and rarities). The pace is slower, the instruments more restrained and with greater use of electronics. The vocals are measured and, on the title track, low in the mix. The vitality is derived from the judiciously applied textures and insistent bass and percussion, while the vocals and guitars create a moody swirl. The first track is "Can't You Hear it", which begins with a bluesy acoustic guitar figure and builds to full-blooded, chugging psychedelia. The following title track is available for you to stream below in its bass-heavy glory. "Turquoise" is a psychedelic dream pop tune, with acoustic guitar and vibrato effects on the vocals. It is a lovely song and one of the EP highlights. The closing track is the stately "Long Gone", combining synths, guitar, and guest vocals from Henna Emilia Hietamaki. Black Lizard is Paltsa-Kai Salama (vocals/guitar), Joni Seppanen (guitars/keys), Lauri Lyytinen (bass), and Onni Nieminen (drums/percussion). Burning EP is released via Soliti Music. We are unabashed fans of garage rock here at WYMA, so we are always happy to feature it on the blog. And it doesn't matter where it's from. As long as it is well done, greasy, lo-fi, nuggety garage rock, it is welcome. Today's contribution is from Melbourne's The Naysayers. Astute readers might remember that we featured their Dee Eye Why EP last September (here). The happy news is that the band has just released the two-track "Fools Gold Rush" single, and it is available at Bandcamp for "name your price". The title track is good old fashioned garage rock bashing. The second track, "Molotov Fairytale", has more of a pop feel, although decidedly still in the band's lo-fi, DIY groove. We think everyone should have some of The Naysayers in their collection, and these tracks prove us right. The members of the band are Nathaniel Parbery (vocals/bass), Gordon Holland (vocals/guitar), Simon Gemmill (drums), and Harrie Kingston (guitar/vocals). Bandcamp for "Fools Gold Rush"